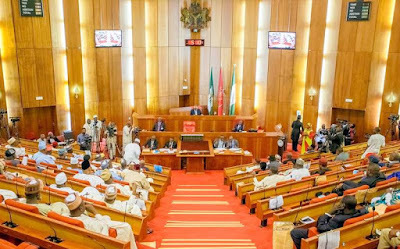 The Senate, yesterday, commenced investigations into the utilisation of N328 billion budgeted for the smooth running of the Amnesty Programme since 2009. The amnesty programme was initiated in 2009 by the late President Umaru Yar’Adua to rehabilitate disarmed militants who had been involved in massive vandalisation of oil pipelines as well as kidnap of expatriates operating in the region and consequently integrate them into the society. There have been allegations of corruption and mismanagement of resources allocated for the programme by its handlers. These allegations prompted the Senate to mandate its Niger Delta Committee to conduct a public hearing on the handling of the funds for amnesty programme since inception. While declaring the public hearing open yesterday, Senate President Bukola Saraki recalled that it was exactly six years ago that the programme took off as he described the timing of the public hearing as a perfect time. Saraki raised a number of rhetorical questions which included why the programme had not achieved target goals and why corruption inherent in the programme should be exposed through the hearing. “The time of this hearing is a perfect time. Amnesty started six years ago and the purpose was to ensure the true development of Niger Delta and create opportunities for youths. Six years down the line, have we achieved the objectives? Have conditions improved? Has pipeline vandalisation improved? How has the money been spent? Until we find answers to these questions, we will be postponing the evil day. “Six years down the line, we are back to vandalisation. Militancy is back. Can we conclude that the programme has brought the desired result? If no, why? What is the problem? Is it corruption? Who’s responsible? What is to be done? The truth must be told. We must expose those behind it for the sake of the youths. We can’t be here and speak for hours when there is no peace in Niger Delta region, We will all be culpable if we keep quiet,” Saraki said.